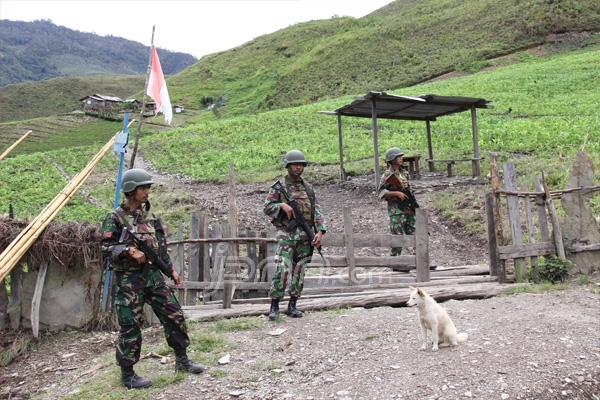 Wamena, 1/1 (Jubi) – During year 2013 there are many special alerts from community, traditional leaders and religious figures in Jayawijaya about conditions of social, economics and politics in this district. Father John Jonga, representative of the Catholic Church recognises the Catholic Church have recorded many violations of human rights during year 2013. Most violations are violations in the form of loss of rights to life, committed by the Armed Forces and the Police. Father John said economic life has become increasingly difficult, because of economic programs that create dependence on government. Traditional economic life was destroyed as many gardens were abandoned. “The price of basic necessities are very high and erratic (which is) a heavy burden on local peoples and disrupts the activities of the community. For example before Christmas, gasoline rose to Rp100,000 (A$9) per litre, “said Father John to reporters at Pilamo Cafe, Wamena, Tuesday (31/12). In addition, Father John assessed the quality of health care in hospitals Wamena is still very bad. Local people complained about pharmaceutical quality, expensive price of pharmaceuticals, and even and clean water shortages. Some Public Health Centres even abandoned by health workers, and residents cannot be served. The increase in HIV/AIDS cases was a record of the Catholic Church in Jayawijaya. The quality of education is very low. Free educational programs do not run. Many schools outside the town of Wamena do not operate, resulting in many children dropping out of school and becoming street children in Wamena. Julian Hisage, the Chief of Hubula’s, one tribe in Baliem Valley, hopes that in 2014 the security forces can better appreciate the rights of civil society. Police also must act decisively against the perpetrators of crimes such as murder and suppliers of liquor. “We also hope government re-evaluates the programs, particularly the economic programs, so that more people can have economic independence, control the prices of goods and services in the town of Wamena, improve the quality of health care in hospitals and health centres in Wamena including the local health insurance programs, and improve the quality of education, “said Julian Hisage to reporters. 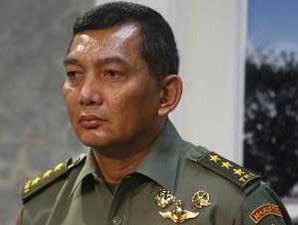 On the other hand, Jayawijaya Police Chief, AKBP. Johnny Eddizon ISIR, S.ik, who facilitated this meeting acknowledged that the input from community, traditional leaders and religious figures in the meeting should become a subject of evaluation for the police in order to better (their actions) in the coming years. 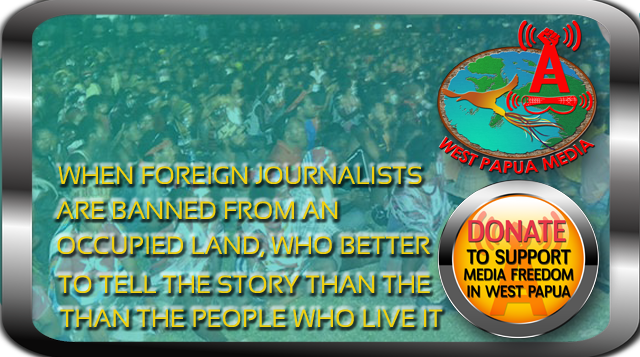 Special Wrap-up report by West Papua Media, with local sources. Scores of non-violent activists from the West Papua National Committee (KNPB) were arrested across Papua over the last two weeks, when Indonesian Police carried out pre-emptive sweeps ahead of a day of mobilisation on August 15, a day intended to celebrate Papuan cultural identity and demand rights to free expression be respected. Organisers across Papua claimed varying degrees of success in holding the cultural parades, hailing the assertion of Papuan cultural identity in the face of a “deliberate campaign of cultural suppression by the Indonesian colonial security forces” as a “moral victory that would show that West Papuan people are not going to die quietly,” according to sources who spoke with West Papua Media (WPM). The parades were organised by West Papuan activists on the anniversary of the contentious New York Agreement – that began the process of Indonesian colonisation of Papua – to demonstrate against ongoing the threats to the survival of Papuan culture. The parades were also celebrating the opening of the new Free West Papua Campaign office in The Hague in The Netherlands under the coordination of Oridek Ap (the exiled son of executed West Papuan musician and cultural hero Arnold Ap). Despite Police being widely reported by Indonesian colonial media stating they would allow the parades to go ahead, activists and stringers for WPM reported from across the country of waves of arrests – or detentions as described by Indonesian security forces – and intimidation that prevented several of the parades from occurring. Nevertheless, the events went ahead in Jayapura, Wamena and Biak, with much smaller gatherings unconfirmed across the rest of the country. 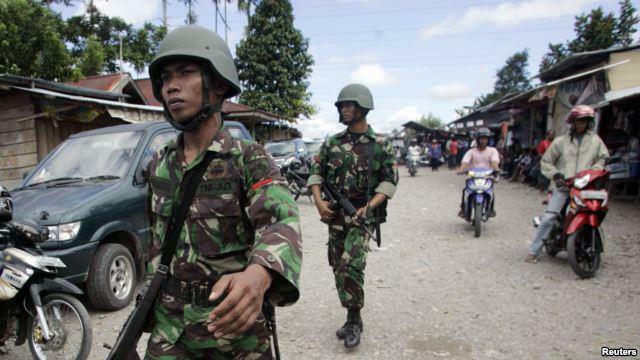 In the west coast town of FakFak, police arrested several dozen people on August 13, according to reports from Tabloid Jubi, and human rights sources. Jubi reported that officers intercepted two trucks carrying dozens of villagers as they were preparing to attend the Cultural Parade on the 15th. Police commandeered the trucks to the police headquarters in Fakfak, detaining and interrogating the villagers – including large numbers of women and children – in the Police Hall. 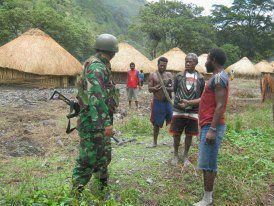 Police refused to explain their actions to Papuan media, according to local observers. Unconfirmed reports from Fakfak say the majority of villagers were released, but the date of their release, or the ability for them to continue their participation in the cultural parades is still unknown. 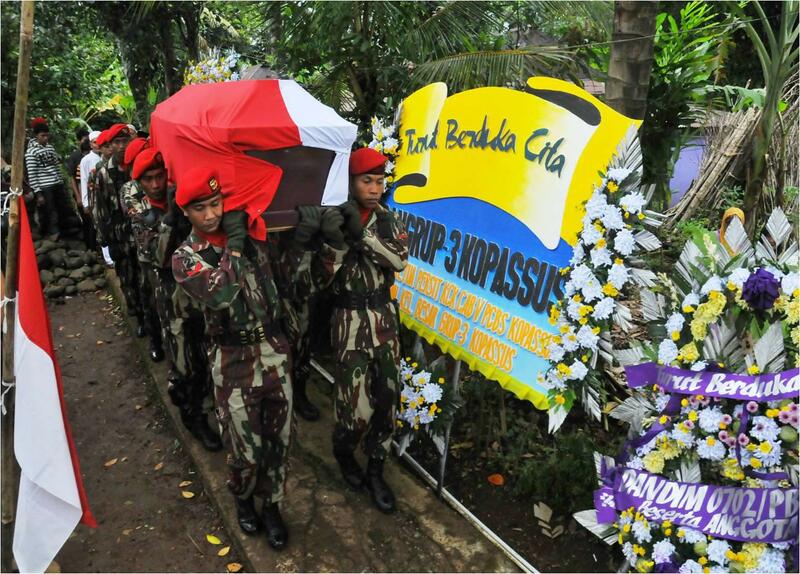 In Jayapura, KNPB Chairman Agus Kosai was arrested by Police as he and other KNPB members attempted to move a sound system from his village near Sentani (about 12km outside Jayapura) to the gravesite of slain independence hero Theys Eluay in Waena. KNPB treasurer Toni Kobak and National Spokesperson Wim Medlama were also arrested with 13 other KNPB members. Police interrogated them but later released them, ordering them home after seizing their banners and equipment. Refusing to be intimidated, the released KNPB members then ignored the Police directive, made new rally materials and proceeded with the planned Cultural Parades regardless in Jayapura. Thousands of local people turned out in Jayapura to showcase Papua’s vibrant indigenous cultural diversity, reflecting and representing Papuan cultures from every corner of the country. The day itself had been planned as a deeply symbolic act of cultural resistance through survival, drawing on the actions of slain ethnomusicologist Arnold Ap in a nonviolent assertion of Papuan sovereignty resisting Indonesian colonisation and control of Papuan lives. Illustrating this attempt at control, many acts of cultural expression such as banned dances, banned songs, and banned displays of cultural heritage were actively monitored by heavily armed Indonesian Police, however the sheer number of participants prevented further arrests. Reports from the Jayapura rally suggested that police were initially prepared to utilise force against the participants after they defied the order to go home. Significant military hardware was deployed, with security forces surrounding the thousands of people gathered at Theys’ gravesite with Armoured personnel carriers, water cannon, tear gas trucks and several Barracuda armoured assault vehicles. 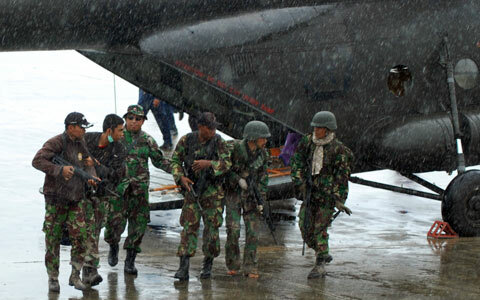 According to reports filed to WPM, activists had prepared unspecified “unique” methods of non-violent de-arresting techniques should the need arise, though it is unclear whether the Indonesian security forces were prepared to respect the nonviolence of the day. This massive “show force” was responsible for thousands of people being forced to stay away from the Cultural gathering, according to KNPB Wamena spokesperson Mr Mabel. The gathering was peaceful but was only attended by several hundred people. Sroyer also expressed “gratitude to those MSG members who have expressed their support of the right of self-determination of the people of West Papua,” without mentioning the official rejection of the bid for Observer Status for West Papua by the MSG, widely seen as a betrayal of Melanesian solidarity by many across the Pacific. 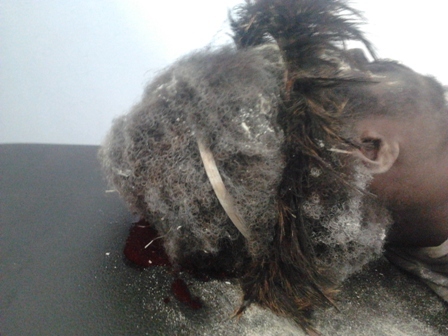 An Indonesian Brimob police officer has shot dead an unarmed mentally ill Lani youth in Wamena on Thursday, after the youth allegedly verbally ridiculed the passing heavily armed police patrol on Jalan Ahmad Yani, according to witnesses interview by West Papua Media stringers. 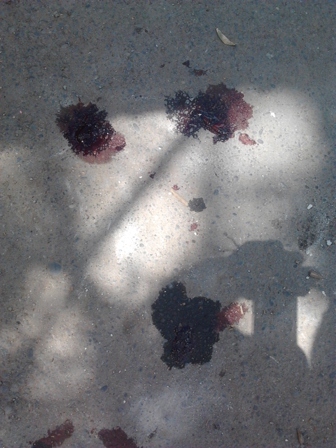 Irwan Janengga, also known as Irwan Wenda (18) was shot dead without verbal warning by a Brimob anti-terrorist officer from Ambon, BrikPol Lua Lusman from the Jayawijaya brigade, who was a member of a five-man patrol that encountered Janengga outside the police post, according to witnesses interviewed by human rights activists and our stringers. According to witnesses with the initials AW and BK, Janengga taunted the officers with nonsensical words and said, “”The plane has landed so (are) storing the goods,” (referring to corruption in the police). The five man patrol took offence to this taunting, and several members fired two warning shots from their automatic rifles without a verbal warning. Janengga took no notice of these warning shots, according to the witnesses, and continued his “crazy talk”. As the Brimob officers were preparing to shoot Janengga, the two witnesses shouted to BrikPol Lusman, “Just ignore him, he has nervous disorders of the brain, do not shoot him!”. Brikpol Lusman ignored this plea, and opened fire on Janengga, aiming multiple shots directly at the legs, abdomen, head and left hand of victim. 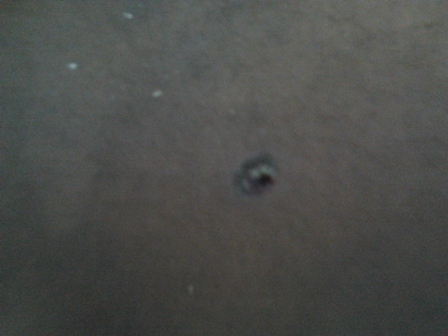 Janengga died instantly according to witnesses. Immediately after the shooting, the 5 police officers began an unprovoked attack and beatings on the two witnesses, and arrested them with force. They were taken then to the Jayawijaya Police HQ, where the witnesses reported to West Papua Media’s stringer that they were forcefully interrogated by police, allegedly with the aim to manipulate the official witness statements of the shooting incident according to BK and AW. Upon learning of their detention, the victims families demanded the immediate release of the witnesses a demand with which Police complied by early afternoon on Thursday. 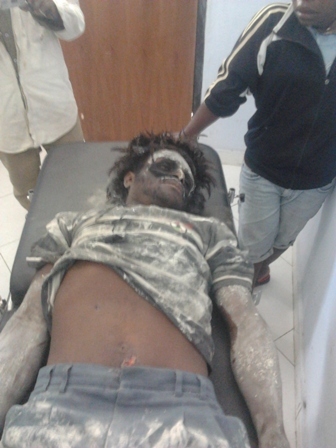 Janengga’s body was then brought by another police unit to the General Hospital in Wamena. The body of Janengga was retrieved from the hospital by his family late on Thursday afternoon, and brought to his home, where the family conducted mourning ceremonies. At the time of publication, the victim was still unburied. “Our Boy, he was (with) nervous disorders of the brain, he just simply said ‘why police shoot’,” said Tiko Kogoya. Tiko continued, “we the victim’s family, ask that the perpetrators should be prosecuted in court, act honestly, and be punished accordingly,” she said. Footage shot by local witnesses has emerged of the aftermath of the shooting, showing local people outraged at another unprovoked killing by Indonesian forces on unarmed indigenous Papuan citizens. 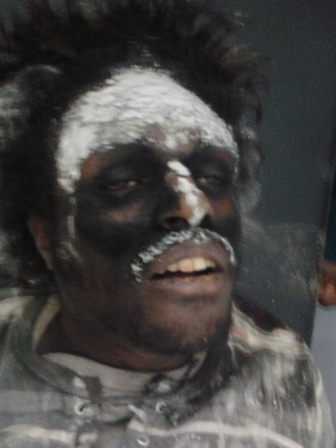 Meanwhile Ogram Wanimbo, an activist with the West Papua National Committee (KNPB) Wamena chapter, told our stringer, “The shooting that happened, it is a human rights abuse, since police shot a mentally ill young man because of a nervous breakdown in the brain.. who was sayings word without (being) conscious (of the meaning)”, he said. Ogram also said “We strongly condemn the perpetrators of the shooting, and we are annoyed by his preaching of the case in local and national media, engineering the chronology of the incident, without interviewing witnesses and families of victims… the fraudulent news does not fit the facts of incident,” he said. 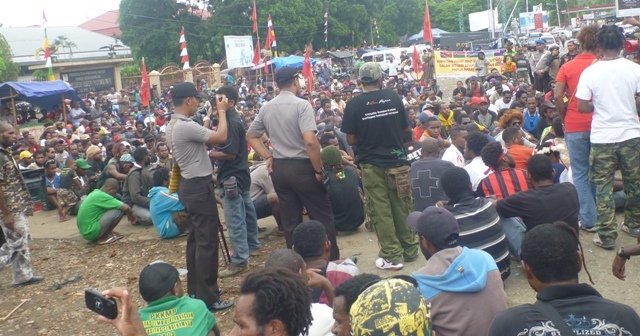 “Since the beginning we have shown the will to assist them (every trial of a KNPB activist) The problem is that we do not have operational funds for Wamena, “said Gustaf in response of complaints by Simeon Dabi’s family about detention proses, dossier creation and submission of the detainees from police custody to the prosecutor without a lawyer, Thursday (2/1). Meanwhile, another lawyer, Olga Hamadi said she had not been contacted in the case of assisting Simeon during the hearing. However, according to Olga, they are ready to assist if the family contacted them. “I have not been contacted about it by the family. Later, when contacted, surely I will respond, ” said Olga Hamadi, human rights lawyer and Coordinator of Kontras Papua. Previously, the family is hoping that the central executive of KNPB could help finding a lawyer who will assist Simeon. “We hope Simeon’s friends in Jayapura can help find a lawyer,” Simeon’s family said. However, according to Rocky Medlama, there are parties who restrict them. “The lawyer is ready to leave for Wamena but there are parties who make problems about this,” Wim said on Wednesday (3/1). Neither Gustaf nor Olga commented on this.